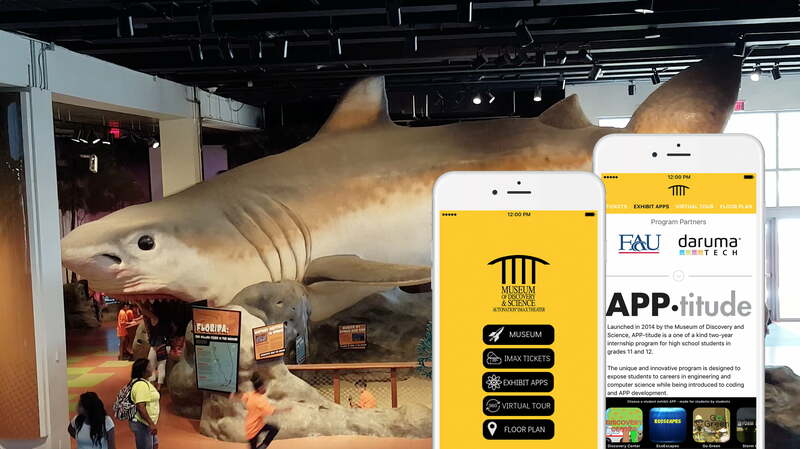 Museums are discovering that smart use of digital tools such as mobile apps and interactive touch-screen kiosks can be an affordable way to refresh exhibit spaces, provide meaningful educational experiences, and connect with an increasingly distracted new generation of visitors. Because creating memorable experiences for your visitors matters more than showing off the latest technological gadgets, we make your mission and message our first priority. Every project starts with a conversation about your goals, mission, concerns, and budgetary and logistical constraints. With this information, we create compelling, cost-effective technical tools—from mobile and kiosk apps to digital displays and training resources—specifically designed to enhance your visitor experience and promote your mission. You have more important things to focus on than technology, so we keep the development process simple and stress free. We respect your concerns and always respond promptly to any of your questions or suggestions. No matter what support you need—from advice on hardware and software options to hands-on training—we’ll be ready to help. For the past two years, we have collaborated with the Museum of Discovery and Science (MODS) and Florida Atlantic University (FAU) in the MODS APP-titude program, a public-private partnership that offers high school students hands-on STEM training and college credit. Participating students volunteer at the museum and learn the programming skills needed to create assets for the free MODS app, which allows museum visitors to access schedules, self-guided tours, and more. We coordinate the overall app development with MODS, collaborate with FAU in the design of the student programming curriculum, and provide APP-titude participants real-world training in programming and design. We supported the Vizcaya Museum and Gardens in its successful application for a Knight Foundation grant for Virtual Vizcaya, a series of virtual 3D tours that allow visitors to explore physically vulnerable areas of the historic site now closed to the public. First, we helped them meet the technical requirements of the grant application. Then, in collaboration with the University of Florida and Florida International University, we used a combination of historic and contemporary images to create web-, kiosk-, and virtual reality-based experiences that let museum and website visitors immerse themselves in these sites. Through these digital experiences, visitors can see and understand how these sites looked at different points in history. 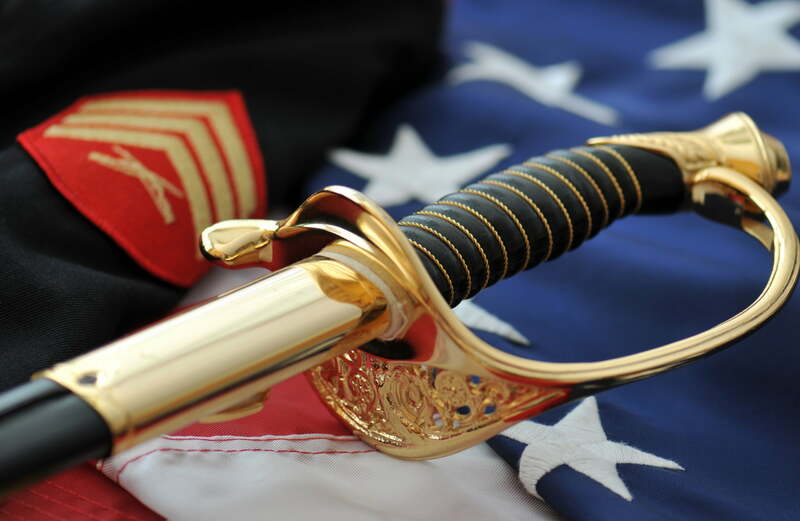 HW Exhibits needed a reliable, responsive technical partner to offer custom programming and hardware support for an e-learning kiosk for the Parris Island Museum, a military museum at the Parris Island Marine Corps Recruit Depot. 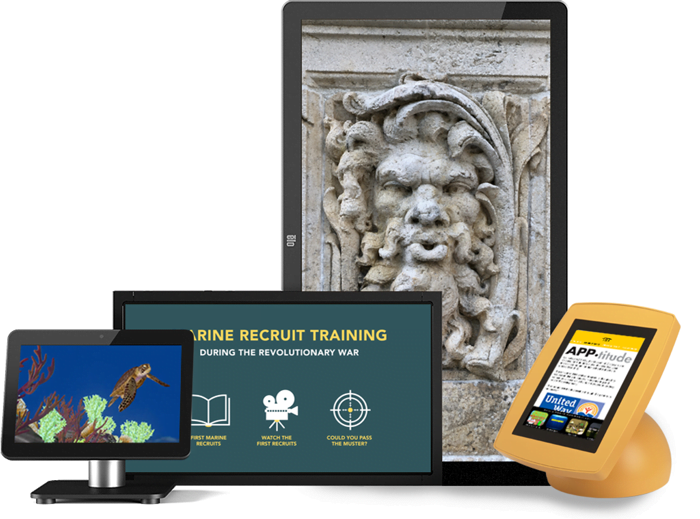 As part of the official training for the over 20,000 Marine recruits who pass through the Recruit Depot every year, the kiosk and its educational contents would be heavily used, so it was important that the kiosk be robust, user friendly, and engaging. 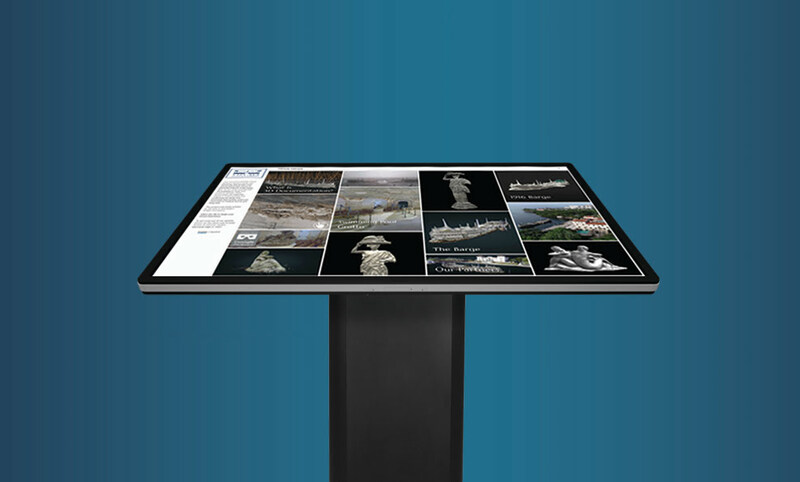 HW Exhibits created content on the history of the Marine Corps, and we provided the technical knowledge and resources to present it in an attractive interactive digital kiosk. “The most impressive characteristics the staff demonstrated during this project was their ability to listen to our ideas and concerns. They also provided brilliant solutions to make the app better. “As a non-profit, finding a reasonably priced solution was a key factor in our selection of Daruma Tech for this project. You exceeded our expectations through great communications and responsiveness through the development process. “The museum was impressed with the firm’s proposal. We also engaged Daruma with some experimentation with 3D documentation, and once the opportunity came along, it was a good fit.